Prisoners at Calipatria State Prison have decided to temporarily end their hunger strike to regain strength. Hunger strikers were subject to extreme retaliation at the hands of warden Leland McEwen and guards, including witholding water and vitamins. Reports from prisoners that indicated that many men were collapsing in their cells and that the guards were doing nothing when alerted. A family member said that the infirmary there was full and that prisoners needing medical care were being transferred to Centinela. It is becoming apparent that Calipatria is basically used as a stepping stone to Pelican Bay or other California SHUs. A majority of the men held there have been validated as gang members and have effectively been given SHU status. Some spend as long as 4 years in solitary confinement, awaiting transfer. Calipatria has virtually no programming for prisoners, and prisoners frequently have nothing in their cells to enrich their days. The prison has prohibitted radios and television, which violates CDCR policy. The hunger strikers have added these items to their demands. The CDRC has had a long run of lording it over,monitoring themselves(what a joke for power crazy thugs! ).May be now something will be done to end this reign of terror which brings shame to the state of California and the whole nation.Those prisoners are human beings and some of them have done nothing worse than using drugs and yet they are all treated as if they were the worst of the worst.And if we are truly a civilized nation we have to recognize that even the worst deserve a humane treatment because the way we treat them reflect on us as a people. SO TRUE! HUMANITY RISE UP AND DO THE RIGHT THING,RESPECT HUMAN LIFE AND TREATMENT BY EXAMPLE! If water and essential nutrients are withheld, then there will inevitably be deaths. I cannot imagine winning this battle unless that truth is faced. No one has the right to recommend this course of action but, in fact it was through his willingness to die this way that Gandhi gained independence for India and, for a while at least, stopped the conflict between Hindus and Muslims. 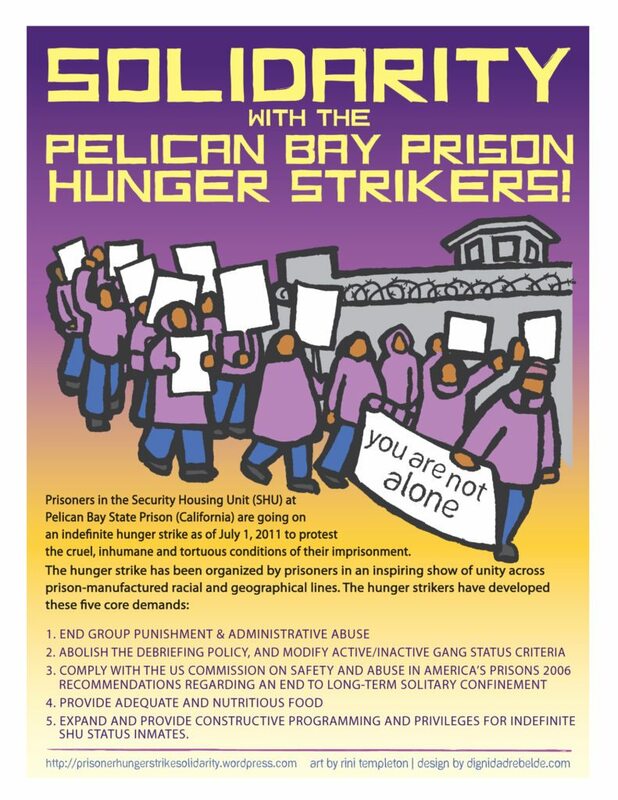 I just sent a letter to all the hunger strikers in Pelican Bay letting them know their voices are heard all over the world. Does anyone have any more addresses for Calipatria or Salinas Valley Strikers, or where I was for 7 years- Centinella? Send them mail-It makes their day and gives them hope they are still thought of. We can no longer claim ignorance of what it does to a human, any human, who is locked in solitary. It deprives most of their sanity. To do that is inhumane. No more. May God help all the hunger strikers in all prisons, especially, my brother who’s in Calipatria. And waiting on these so called ”governments”, or should I say, ”governor”, ” president”, what the heck no one is there to take some responsability and act with responsability about what our brothers are going thru. They ( California government) should be ashamed of themselves. Our loved ones in prisons show more education than the all government in the all nation together. I agree with everyone on top and rest. 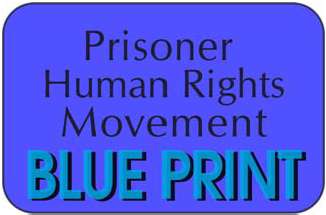 In name of all those prisoners, Thank all of you for your support . F all of the above make one call, write one letter. We must for these poor men. Thank you and god bless us all in the face of such inhumanity in our own country.